Young people who are relying on “study drugs” to improve their performance in school, please be advised, drugs like Adderall and Ritalin are both addictive and dangerous. It can be easy to forget that even though doctors prescribe some stimulant narcotics, they still carry inherent risks that can alter the course of life. Drugs with which doctors treat conditions like attention-deficit hyperactivity disorder are stimulants. The base of such substances is often amphetamines, which cause users to experience euphoria along with the supposed cognitive enhancements like an increase in focus and energy. Regular use of prescription stimulants can lead to dependence and use disorders. It is essential for young people to keep in mind that there isn’t much of a difference between amphetamine-based drugs and methamphetamine. Most young people without a diagnosis for ADHD who engage in nonmedical stimulant use, do so to get an edge in class. College is demanding, and it can be challenging to find the energy to keep up with writing papers and studying for exams. Stimulants allow people to stay up for more hours in the day and keep focused. There is a shared belief among nonmedical Adderall users that the drug is boosting their performance. Researchers at the University of Rhode Island and Brown University decided to put the idea to the test. Research, published in the journal Pharmacy, shows that while a 30-milligram dose of Adderall improves attention and focus, the enhancement didn’t convert to better performance on neurocognitive tests, Science Daily reports. In fact, the researchers found that the drug may impair short-term memory, reading comprehension, and fluency. 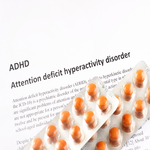 Non-ADHDs are found to experience a more significant effect on mood and bodily responses when taking Adderall. "If your brain is functioning normally in those regions, the medication is unlikely to have a positive effect on cognition and may actually impair cognition. In other words, you need to have a deficit to benefit from the medicine," said Lisa Weyandt, professor of psychology and a faculty member with URI's George and Anne Ryan Institute for Neuroscience. She adds, "They are subjecting themselves to physiological effects but do not appear to be enhancing their neurocognition." Weyandt, and co-investigator Tara White, assistant professor of research in behavioral and social sciences at Brown University, intend to apply for federal funding to expand their research on a more significant number of students who do not meet the criteria for ADHD, according to the article. If their findings remain consistent, it could mean that fewer students will take the risk of using amphetamines to try to get ahead in school. The result could lead to fewer cases of stimulant use disorder among young people in the future. If your use of prescription stimulants is negatively impacting your life, please reach out to Celebrate Hope. Relying on evidence-based addiction treatment approaches, we can help you begin a remarkable journey of recovery.